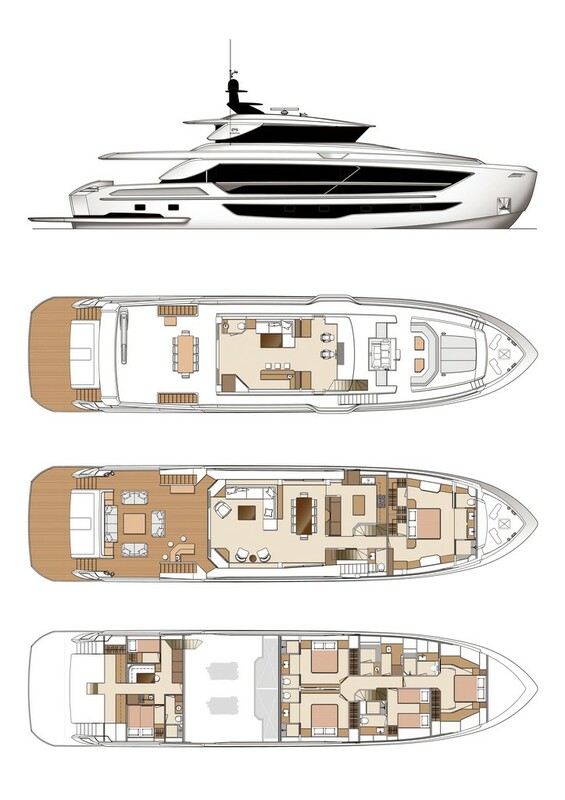 The first super yacht model in the acclaimed Fast Displacement Series features a walk around design. 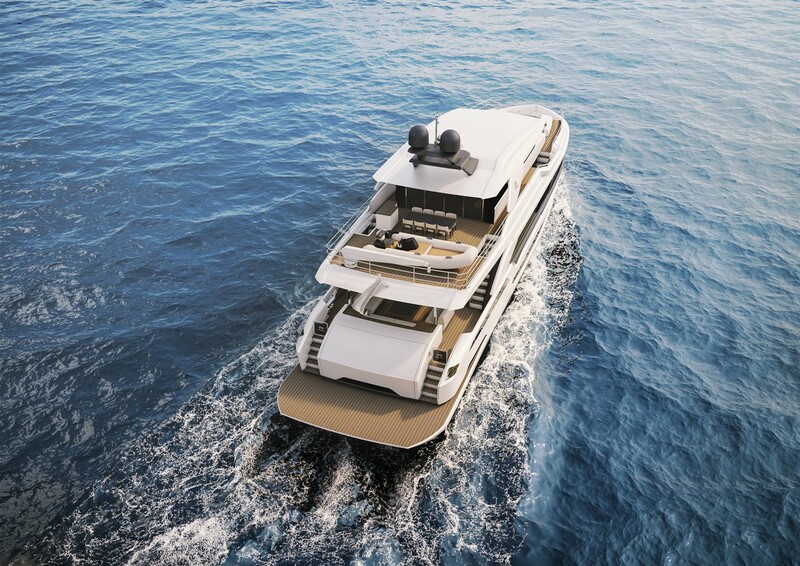 Following an extremely successful Monaco Yacht Show, construction has begun on the first Horizon FD102 motor yacht, the latest in the highly acclaimed Fast Displacement Series. The FD102 Skyline joins its series sisters that include the FD77 Skyline, FD85, FD87 Skyline, and FD125 Skyline models. The new Horizon FD102 Skyline is the first superyacht in the popular FD Series, which was created in collaboration with renowned designer Cor D. Rover and is characterized by a striking exterior profile, impressive interior volume, and a high-performance hull design. At an overall length of 105 feet, the FD102 Skyline offers a wide 24’ 2” beam and large outdoor spaces accessed by a unique walkaround design. Within a voluminous interior, the FD102 Skyline offers double salons, an on-deck master stateroom, and a spacious four-stateroom-layout on the lower deck. A walkaround deck on the bridge deck level maintains the privacy of the interior spaces while providing a seamless transition between outdoor entertaining areas, which include a unique forward deck arrangement featuring a u-shaped settee and a Jacuzzi tub just forward of the bridge and a sprawling sunpad on the foredeck. A lounging/dining area and space for tender stowage is located aft while a spacious beach club and large aft deck area are found on her lower levels. 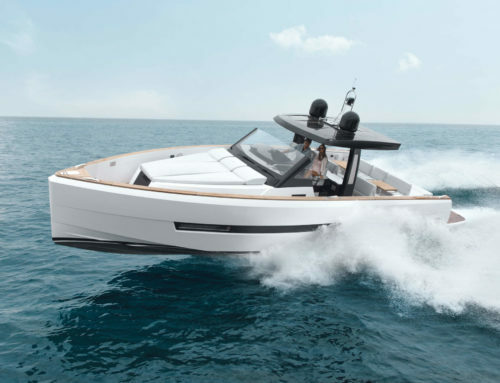 The FD Series has seen tremendous success and interest from the market since it was first unveiled only two years ago, and this interest led to a contract for the first FD102 being signed at the Monaco Yacht Show in September. 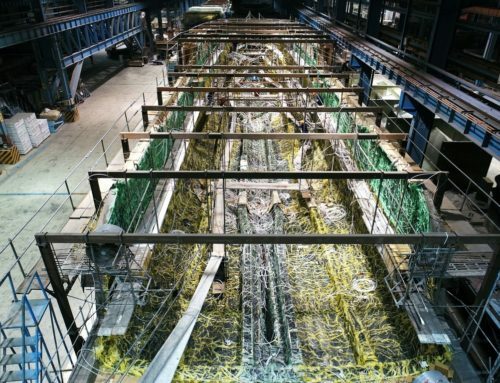 Tooling is currently underway for the first FD102 Skyline, which is anticipated to deliver to her European owner in 2020. 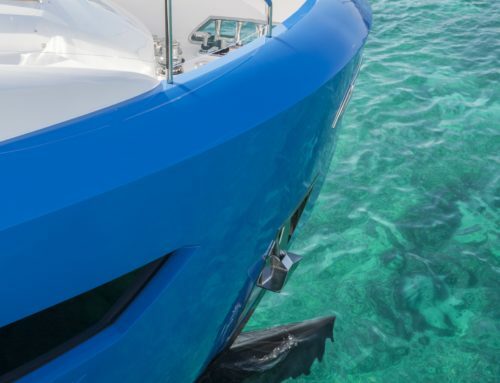 Founded in 1987, Horizon Yachts has celebrated 30 years as one of the largest luxury yacht builders in the world as well as the number one builder in the Asia Pacific region. In the past three decades, Horizon has delivered over 790 luxury yachts, with more than 197 of these over 80 feet in length. 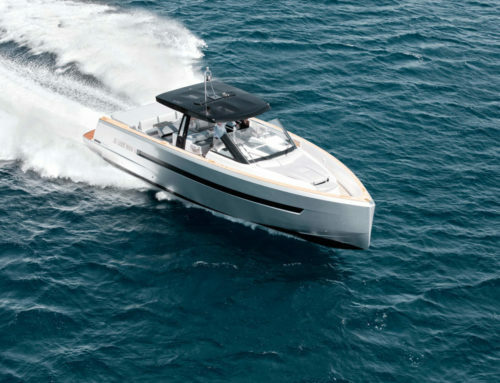 Popular models ranging from 52 to 150 feet include motor yachts, superyachts, power catamarans, expedition yachts, and fast displacement motor yachts. 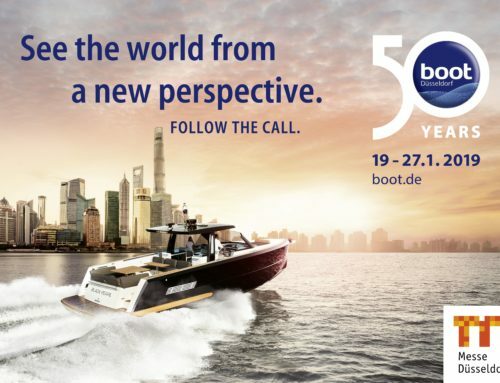 Please visit Horizon Yachts at www.horizonyacht.com for company information as well as for a list of Horizon representatives around the globe. By Dynamic Boats|2018-10-09T12:04:46+02:00October 9th, 2018|Categories: Blog, Horizon FD series, Horizon Yachts, Yachts|Comments Off on New Horizon FD102 for delivery in Europe in 2020!